The conference will be held on the campus of McMaster University in Hamilton, Ontario. Nestled on the edge of the lush Cootes Paradise Sanctuary, McMaster is a campus that offers both breathtaking traditional architectural and innovative modern structures. Hamilton offers visitors an ideal blend of history, culture and outdoor adventure. Less than a one-hour drive from Toronto and Niagara Falls, the city boasts a strong arts scene, award-winning dining and a vast outdoor playground for nature enthusiasts. 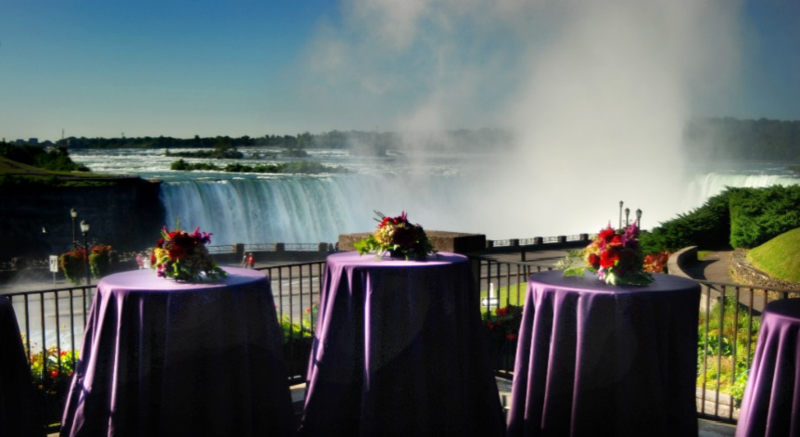 The banquet will be held at Queen Victoria Place Restaurant overlooking the spectacular Niagara Falls. You will have free time before and after dinner to explore the area. Bus transportation will be provided. From Downtown Toronto (Union Station): GO Transit offers frequent bus service direct to McMaster University. Use the GO Transit trip planner to find a schedule. By rail: GO Trains and Via Rail services are available direct to Hamilton. By air: Hamilton International Airport (10 km from McMaster University) and Toronto Pearson International Airport (50 km from McMaster University) connect Hamilton to the world. An express train is available from Pearson airport to Union Station in downtown Toronto, where you can take a GO bus to McMaster University; taxi services are available from both airports. Rooms include a fully equipped kitchen and complimentary WiFi, complimentary hot full breakfast seven days a week, and complimentary evening social from Monday through Thursday. To reserve by phone, call 1-800-225-4663 and quote group code CWIT2019. Reserve online here and select “Have a special code?” under “Rate Types” then use group code CWI. To reserve by phone, call 1-800-387-4620 and quote group code CWIT2019. Reserve online here and enter CWIT2019 for Group Code.